Dr. Raghu Ram contributed Rs1, 00, 000 to the corpus fund set up by the Ministry of Home Affairs, Govt. 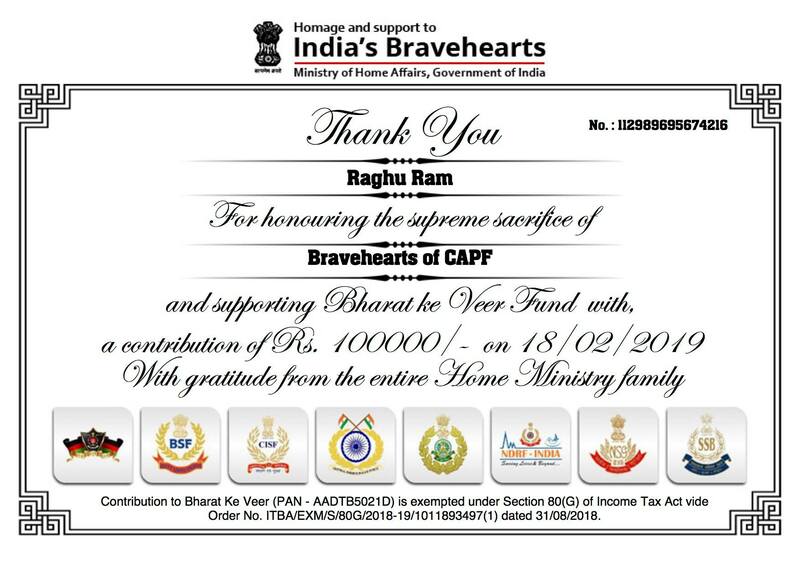 of India to support the families of brave hearts who sadly left this world in The Pulwama Terror attack, which has been the deadliest attack on India's border Security forces since 1989. Expressing his distress, Dr Raghu Ram said ‘the souverignty of the Nation is most fundamental. There should be no compromise in thought or action. In his capacity as President elect of the Association of Surgeons of India(ASI), he urged every member of the Association to contribute as much as they can that will reach out to families of the brave martyred soldiers who sacrificed their lives whilst protecting the Nation. He added that if all the members of the Association contribute even Rs 1000 each, as the single largest Surgeons Organisation in Asia Pacific region, ASi would have collectively contributed Rs 5 Crores to this noble cause.